Oxy’Pharm was set up in 2003 by two brothers, Arnaud Rouleau, an engineer from the Ecole Centrale de Paris, and Thierry Rouleau, a Doctor of Pharmacy. Their dual experience explains the activities of the company which manufactures and distributes biological materials and products for automated surface disinfection as well as for insect disinfestation. The concept of biological disinfection (Nocolyse) was created from this combination. The whole product range developed by Oxy’Pharm, whether for disinfection or insect disinfestation, was designed with eco-responsibility and sustainable development in mind. Therefore, all products offered are totally biodegradable and environmentally friendly. Since its introduction to the UK in 2011, Oxy’Pharm and the Nocospray/Nocolyse combination, has quickly established itself as one of the leading brands of Hydrogen Peroxide based ‘no touch’ total room decontamination products in the UK today. Oxy’Pharm’s numerous and unique attributes have been recognised and invested in by a plethora of major end users who now reap the benefits of its innovation. The largest market to date is Healthcare where interestingly, over 90% of existing customers ALL previously used a competitor system! Target markets outside of Healthcare are in abundance especially due to the size, simplicity of use and low purchase and operational cost of the system. Since the launch of the insecticide and bed bug chemicals in 2014 and the breakthrough of Nocolyse Food in 2015, the potential for Oxy’Pharm is endless. For a brief overview as to the technical function of the Oxypharm machine, please see PDF below. Low operational cost – from just £2.68 for a 50m3 room. Low consumption of chemicals – from just 1ml/m3 required. Speed of use – Safe access to treated areas from 30 minutes. Easy to deploy – simple operational procedure. User friendly controls. Low investment – appliance cost proportionate to size. The Oxy’Pharm airborne bio decontamination and insecticide system is heavily validated as to its efficacy across numerous environments of differing challenges. We have available a plethora of validation documents outlining impressive log reduction efficacy against bacteria, spores, viruses and fungus. The European Biocidal Product Regulation (BPR) uses the French standard NF T 72-281 as the method to test airborne surface disinfection systems. This was revised in November 2014. Oxy’Pharm had the following efficacy studies carried out in accordance with this norm. Additional to the efficacy data in line with the above Norm – we have nmumerous examples of independent testing of the Oxypharm system, both in vivo and in vitro – the following are just a sample and available to view by registering below. 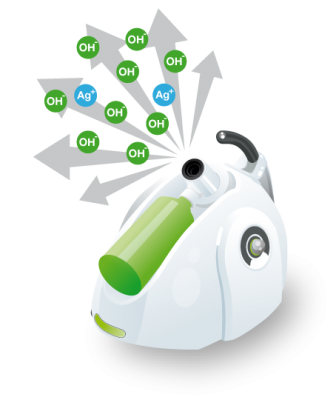 Oxy’Pharm, with their 14 years of experience in Hydrogen Peroxide technology, are here for the long haul. Significant investments have been, and will be continued to be made in new product development and efficacy test case studies whilst ensuring total compliance at all times in an ever changing environment governed by numerous regulatory bodies. Following scurrilous, scaremongering actions by a competitor in the Hydrogen Peroxide (HPV) Bio-Decontamination field – Oxy’Pharm, the manufacture of the Nocolyse and Glosair 400 range of chemicals have issued written declarations concerning the composition and compliance of their products to reassure existing and prospective customers as to their total conformity to all requisite legislation and administration in this regard – please click the link on the right to see a declaration of silver content and compliance with the new European regulations. Renowned independent Trade Journals, Inside Hospitals and Hospital Bulletin, have visited the below Hospitals for their feedback and general comment of their experiences of using the Oxypharm system as a part of their decontamination procedures. Please click on each link below to read their independent viewpoints. A key attribute additional to all the operational benefits of the Oxypharm system is the low cost of consumed chemicals. A glance a the efficacy and validation section of this website demonstrates that high level effectiveness can be achieved from a little as 1ml per cubic metre of target room size using the Nocolyse Neutral as a daily preventative procedure. Accordingly, when used as a curative procedure, the Nocolyse One Shot delivers similar results from just 3ml per cubic metre. To see this converted to cost per room you will need to contact us directly, you can do this by clicking here. 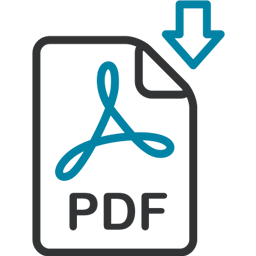 Once confirmed, we will send you the pdf file which outlines the cost per cubic metre of all the chemicals in the range as well as consumption costs for example sized target rooms.